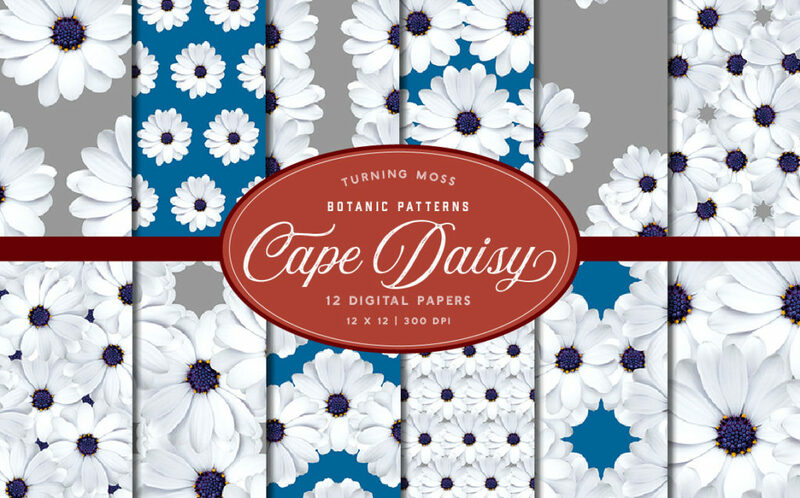 Inspired by nature, these botanic patterns are made with REAL White Cape Daisy Flowers. Each pattern is made with natural photographic elements. 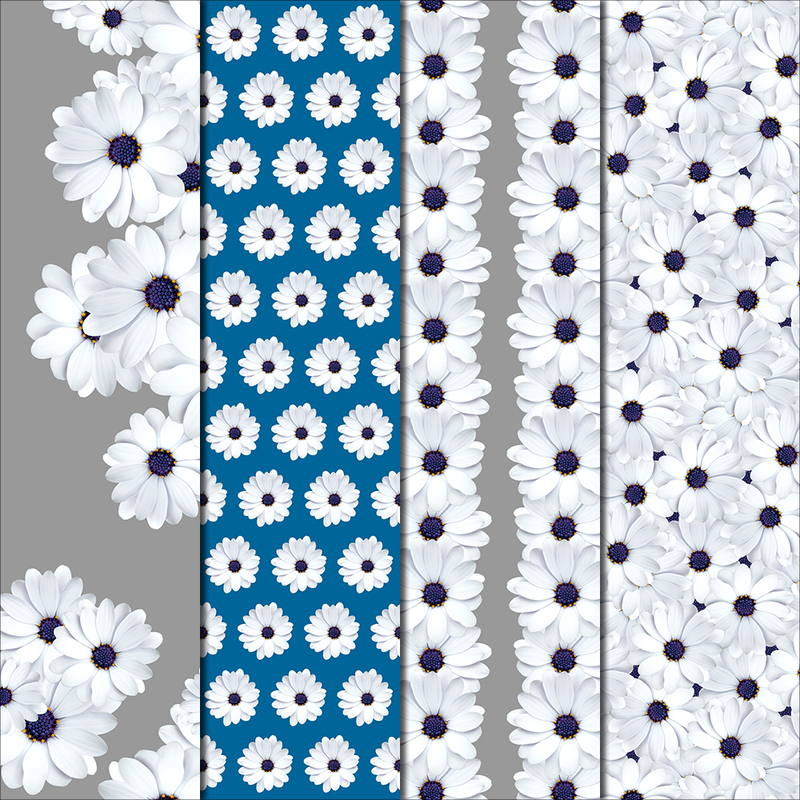 In this pack you will find 12 unique decorative papers, created entirely with digital White Cape Daisies. 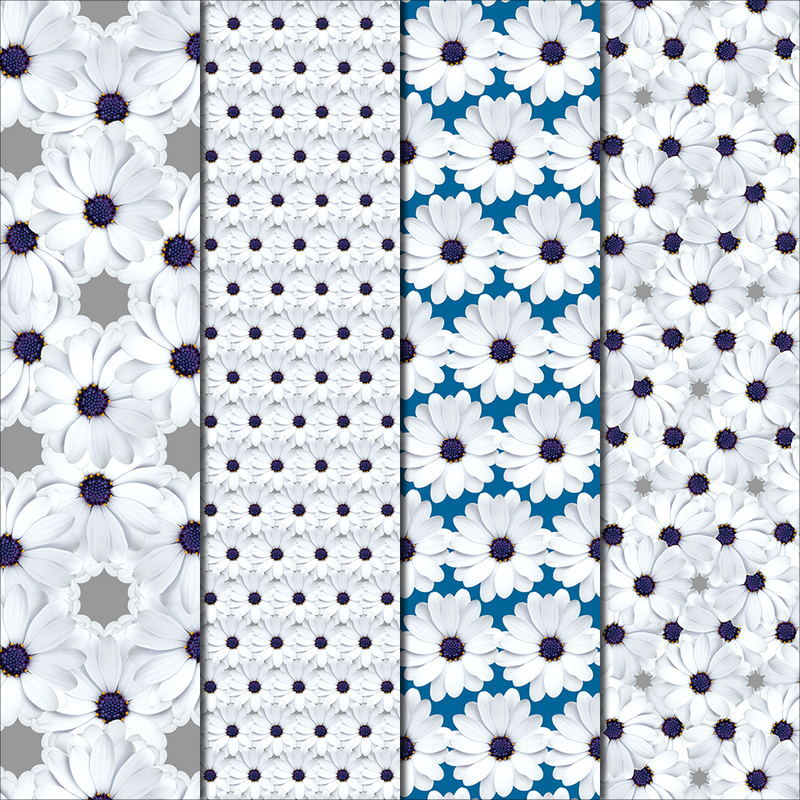 The White Cape Daisy featured in these patterns displays subtle white petals surrounding an intensely purple center with glimmers of yellow- what a surprise for a seemingly ordinary daisy! This flower is pure spring magic! This pack of decorative papers is cute and oh so classy. 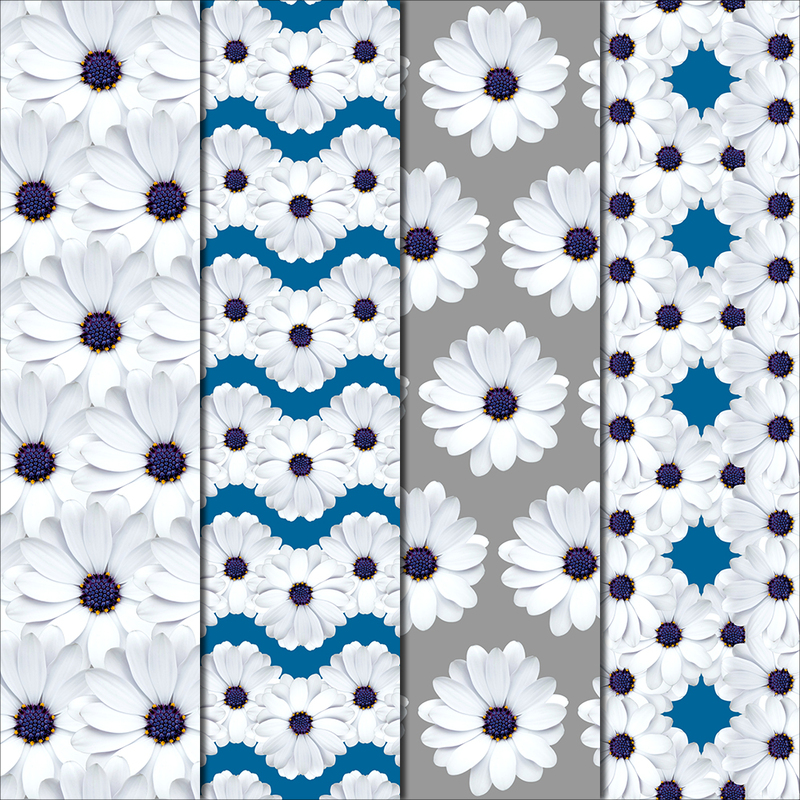 The patterns in this pack are made with a mix of BLUE and GRAY backgrounds.